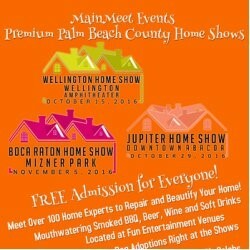 Taking place in the heart of Downtown Abacoa, surrounded by all of the shops and restaurants, the Jupiter Home Show contains 100 Home Product and Service Exhibits from reputable local companies who can help you repair, remodel, and beautify your home. Conveniently located, this family-friendly event offers free admission, lots of delicious food, beer, wine and soft drinks, fun radio-station games and giveaways, dog adoptions on-site, LIVE! radio interviews onsite with local celebs, and so much more! The cost is free to attend. Enjoy! I’d be happy to help your friends find a home. Just give me a call or shoot me an email. Posted in Abacoa, Abacoa homes, Abacoa homes for sale on October 1, 2016 at 11:44 am. Need to get unplugged? Rediscover Riverbend Park.